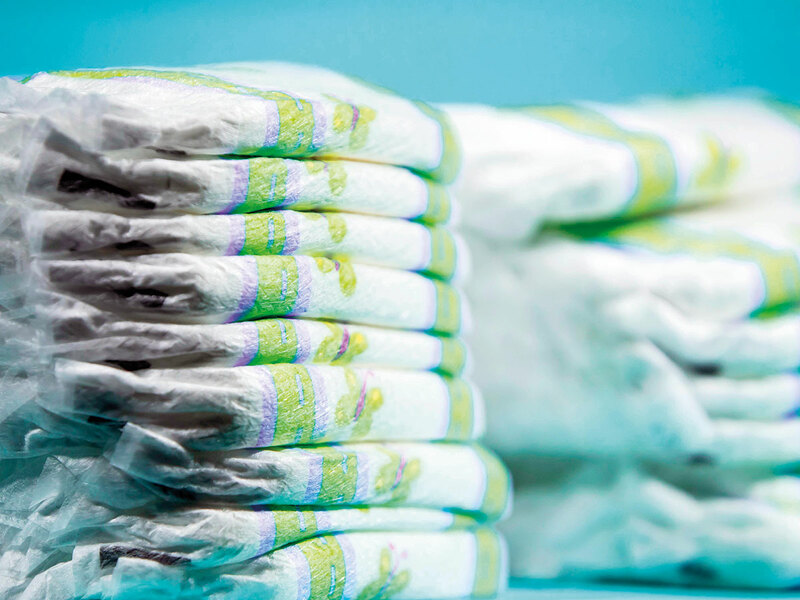 PARIS: A French public health watchdog issued a warning Wednesday about the risks of several chemicals found in disposable nappies, particularly artificial perfumes, leading the government to demand that manufacturers withdraw them from their products. But “we cannot exclude a risk... because we have recorded some substances that are above healthy limits,” the deputy director of the Agency for Food, Environmental and Occupational Health and Safety (Anses), Gerard Lasfargues, told AFP. The chemicals identified in the study — described as the first of its kind — include two artificial perfumes as well as other complex aromatic products that are refined from oil, and potentially dangerous dioxins. The French government called a meeting of nappy manufacturers on Wednesday morning and gave them 15 days to remove the products identified by the watchdog. “I want to reassure parents: Anses says that there is no immediate risk for the health of our children,” Health Minister Agnes Buzyn said after the meeting. “Obviously we should continue putting nappies on our babies. We’ve been doing that for at least 50 years,” she said, while adding that the report does not exclude “a health risk for children in the long term”. “That’s why as a precaution we want to protect our children from possible effects,” said Buzyn, who met the manufacturers along with the economy and environmental ministers. “We calculated the amount (of chemicals) absorbed, calculated according to the time a nappy is worn, the number of nappies worn by babies, up to 36 months, and then we compared the results with toxicology standards,” Lasfargues said.